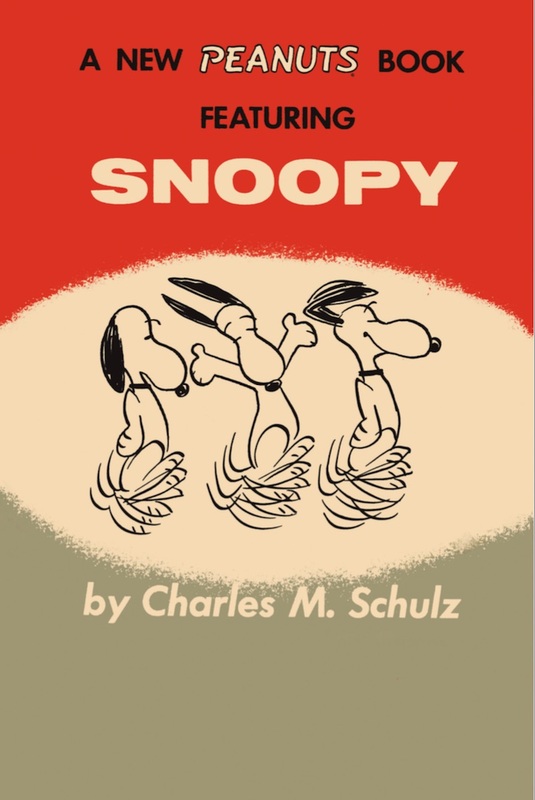 Charles Shultz’ comic creation The Peanuts Movie hit the big screen earlier this month and Titan Comics has been releasing volumes all year to commemorate the occasion. Snoopy and the kids looked a lot different in the early strips, (Charlie Brown himself sometimes missing his signature zig-zag shirt) but the timeless humor of the daily and Sunday Peanuts comics can still resonate with children of all ages today. Titan Comics offered us a look at these modern day reprints of classic black and white Peanuts strips from the early days before Snoopy took on The Red Baron. Titan has the rights to reproduce favorites from my childhood, the Rinehart & Company (Holt, Rinehart & Winston) collected black and white paperbacks accumulated from yard sales or perhaps even my parent’s well spent youth. It had been years since I remembered even reading these books, and as an adult a new appreciation and nostalgia sets in. As hard as it may be to believe, Charlie Brown was fooled by Lucy’s football trick for a first time. Schroeder played upon a toy piano with the black keys painted on (just don’t call it a toy piano if you want to keep your block intact) and Linus’ blanket even gets a break sometimes (in the washer-dryer cycle). Early Peanuts takes a look at the neighborhood through the eyes of kids that take on personas of little adults until the punchline hits. Charlie Brown was or never will be the manager of an actual baseball team. The cold, harsh reality is that he has to take his little sister Sally out for a walk as she sits in her stroller. He’s not crunching any numbers about stats, he’s looking to find another walk-on third baseman, so Lucy will have to do. Play! Laughs! Fussiness! Baseball! The joys of walking (or being) a dog! The innocence in early Peanuts, as Schultz finds his voice isn’t unsophisticated or undeveloped. Like a zen master, less is more here. I laughed just as hard if not harder than when I read these yellow-paged paperbacks as a young blockhead. I have always loved Peanuts aka Snoopy. Sure, I was a Great Pumpkin wait-er near Halloween for the local CBS affiliate to air the television special. The Wuh-Wuh-Wuh of the adults mimicked the great gulf between identifying with adults as a young kid. What I really loved…what really made me laugh…through my childhood were these comic strip books. Peanuts, and as I got older, as new volumes of The Far Side and Bizarro slid their way into my library, defined funny for me. What better way to introduce a kid to reading than some funny books? Europe has Tintin, and I suppose we do to, but there is something inherently American about the comics of Charles Schultz. Beyond baseball, the suburban existence of American kids are idealized in Peanuts cartooning. Friendships, neighborhoods, trick-or-treating and the first snowfall of the year nods to a Yankee nurturing. As the years go by, and internet iPads and Netflix replace the seasonal Peanuts holiday broadcast, geeks of our generation are able to remember answering the landline phone politely when a neighbor calls, or a time before landscaping services took care of your yard and it was your chore time in the yard that made a big pile of leaves. Noticeably absent are the adults in these older strips. A parental influence was felt, but no one was going to stop Charlie Brown from jumping into that pile, only to have to rake it up again. Snoopy’s ears in the early years are shorter, and has more of a smile than a smugness about him. No little yellow Woodstock around quite yet. For a great timeline of the origin of this year’s The Peanuts Movie, please avail yourself of these early strips through these gorgeous reprints. Many years from now, you might hand these dog-eared yellowed pages to your young little Charlie or Patty. They’ll get to learn about a simpler time but also just get a chance to laugh at the silly kids at play with a dog jokes!